One of the emotions I never thought I would feel as a Mother would be guilt…I know you may be laughing, but hear me out. Sure I was a little nervous going into Motherhood, but for some reason I also felt prepared and a sense of calmness about the whole thing. I knew that I was made to be a Mother and I had wanted to be one for so long. But what I wasn’t prepared for was how guilty I would feel for anything that went slightly wrong with my child. Read on to hear about my experiences and how I have learned to cope with this guilt. Magical thinking is something I’m familiar with because I’m a Social Worker; it’s basically when you think two things are related, or somehow caused each other, even though you have no proof of it. Typically it’s used to describe two very unrelated things. 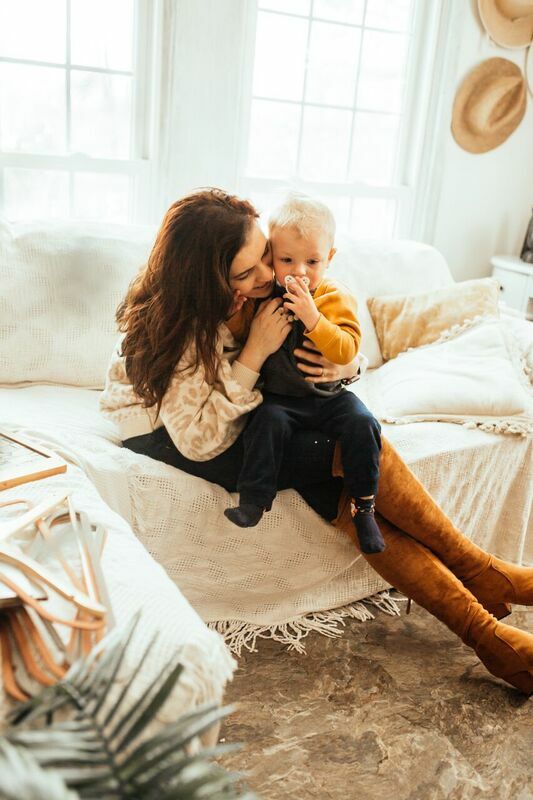 I was using magical thinking in my perceptions of what Motherhood would be like; thinking that certain things in motherhood would come easily to me, just because I wanted them too. For example, I just “knew” that breastfeeding would work for me because I desperately and fervently believed that it would work for me. I shrugged off all those Mother who told me “it’s really challenging” and justified in my head that “they just didn’t want it as badly as me”. I realize now for how ignorant I was and I do feel bad for my judgement. 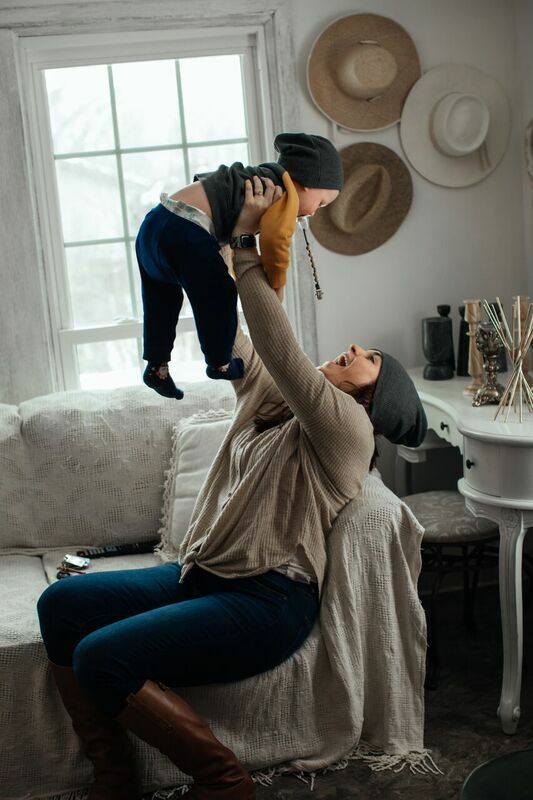 Breastfeeding was incredibly hard for me and no matter how badly I wanted it, I couldn’t will my baby’s tongue and lip tie away, I couldn’t will the pain I felt away, I couldn’t will the issues with my son’s latch away. And so, my first feelings of Mom guilt started to creep in. Beyond breastfeeding, every time my son has had a major issue, the Mom Guilt I’ve experienced has gone up exponentially. For example, when my son was diagnosed with a pretty significant flat head (forgive me I forget the scientific term), Mom guilt wrecked my emotions. Did I not hold my baby enough? Did we not turn his head enough? Did I somehow contribute to my baby’s deformity. Yes, these may sound extreme, but this is what was running through my head. Now, my son has been diagnosed with a speech delay and a developmental delay–of course my thoughts immediately went to: what did I do wrong? And about a dozen other questions about my ability to Mother. I have been able to challenge my Mom guilt, but it has taken a lot of time, therapy, and positive thinking in order to do this. I will say, the more I have recovered from Postpartum depression* and anxiety, the better I am able to deal with Mom guilt. Postpartum depression can make Mom guilt 10x worse. It’s worse because your judgement may not be 100% correct. You are suscebtable to judge yourself even more harshly when you are depressed. My recommendation for anyone who thinks they may have postpartum depression is to seek therapy and potentially medication from you OBGYN or primary care doctor. Keep in mind these tips helped me, something different may help you, but these are a good starting place Mommas. 1. Start writing down in a journal “It is not my fault”. This may sound silly, but it has been proven that writing a thought down signals to your brain that it is documented and you do not need to keep ruminating on it. It also forces you to start to think about the possibility that something is not your fault. You may not believe it, you probably won’t at first, but you will start to acknowledge that there is a possibility that this may be a truth. 2. Talk to Mom friends–you will cry, they will cry, it will probably be a cry party. But you know what, they won’t judge you and they will validate how you feel. And then they might hand you a glass of wine (if they’re my friends). 3. Remind yourself that you are not the only person wholly responsible for your child. Most likely, you are not raising your child completely by yourself (if you are, you are the most amazing person! ), you have a partner, family members, a daycare, or babysitter that also help take care of your child. And those people also ensure that your child is taken care of too! 4. Is your child fed, clean-diapered, and happy? Then remind yourself you are doing great! My son did not know he had a flat head, it didn’t hurt him. And now he doesn’t know that he can’t talk, he is still just as happy, as long as his basic needs are met. *If you are struggling with postpartum depression or anxiety, please contact a mental health provider or your primary care doctor to get help. So tell me, have you experienced Mom guilt? How have you dealt with it? Any tips for myself and other readers who are struggling are much appreciated.